The name “Dr Caligari” may cause a shudder to those of a weaker disposition. The eponymous character of the 1920 classic Das Cabinets des Dr Caligari has long been a figure of terror – and with good reason. The film has been described not just as one of the first “horror” films, but one of the first examples of a movie generating a real psychological uneasiness in its audience. 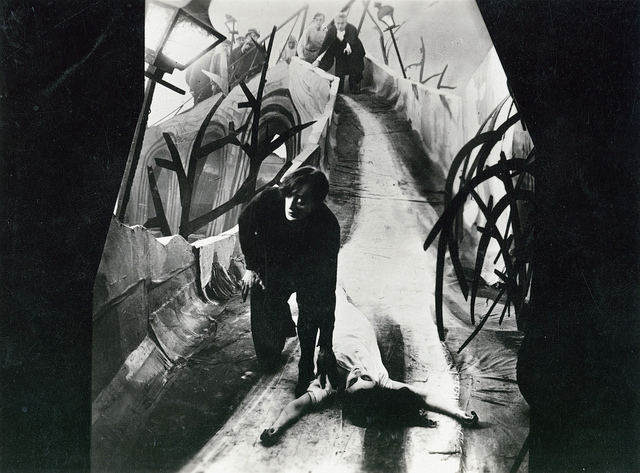 Caligari has been labelled in many different ways – German expressionism, horror story, psychological thriller and a classic of the silent era – but it was also Germany’s first postwar cinematic success, and it reflects the anguish of the people who had been through four terrible years. 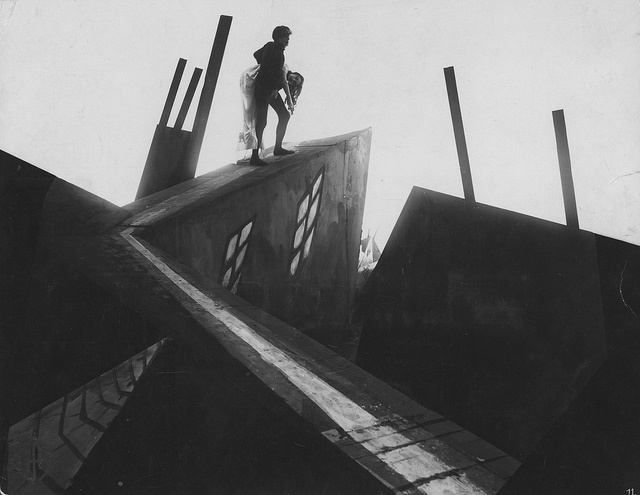 Thanks to those classic expressionist touches, the sharp and angled sets, gothic imagery and expressionist undertones, Caligari was as visually frightening as its narrative. More recent audiences may have also been unsettle by the poor physical condition of prints of the film. Despite numerous attempts to finesse the quality of the film – first by the Filmmuseum München in 1980 and followed by the German Federal Film Archive (Bundesarchiv-Filmarchiv) in Koblenz (1984) and as part of the Lumière European MEDIA project in 1995 – imperfections were still evident: visible scratches, jumps and blank screens, blurred title cards, unstable images and bleached-out, near-featureless faces. 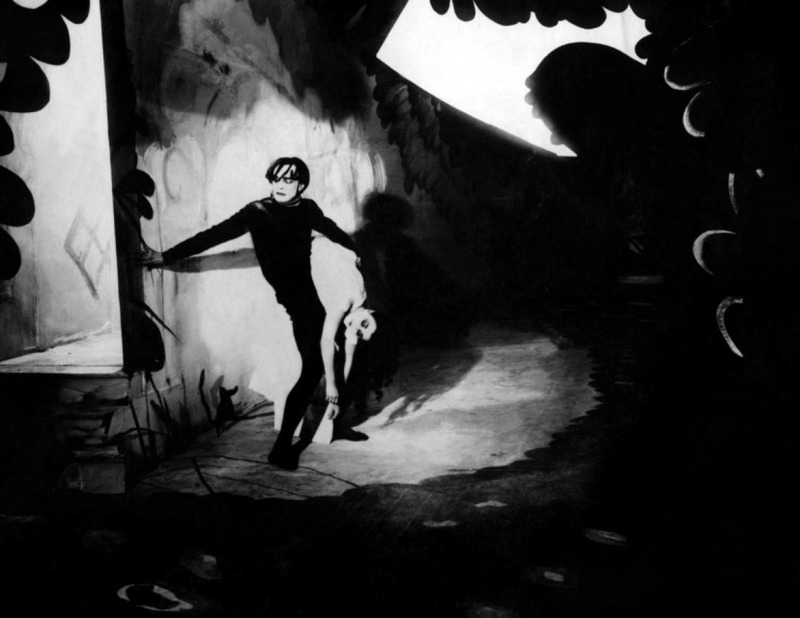 Caligari’s story is told in partial flashback as Francis (Friedrich Fehér) tells the tale of the horrors that he and fiancée Jane (Lil Dagover) have endured at the hands of the Doctor. 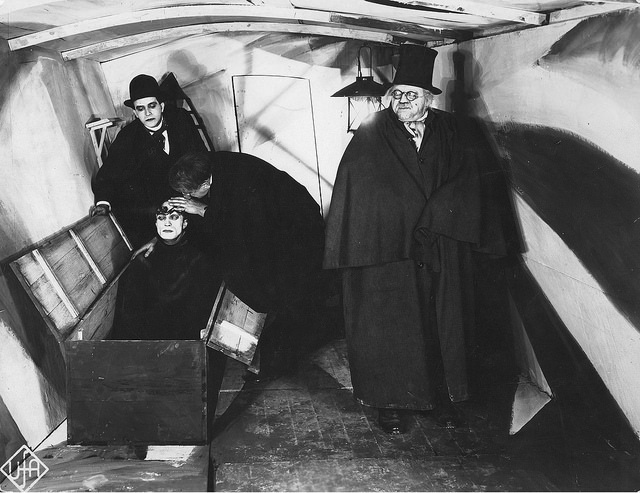 One day Francis and his friend Alan (Hans Heinrich von Twardowski) attend a local carnival where they watch the act of Dr Caligari (Werner Krauss) and the somnambulist Cesare (Conrad Veidt) “who has slept for 23 years but will tonight wake from his dream-like trance”. The only time Cesare speaks is to tell carnivalgoers their fortune. Cesare “knows the past and sees the future” and when Felix asks “how long will I live?” his serious, haunting response is: “To the break of dawn”. Yet the fear is not restricted to the carnival. At night Cesare is woken by Caligari to do his deathly bidding, and so begins a series of murders, abductions and mental unravelling. Glad tidings from east London. The capital’s newest cinema, the Hackney Picturehouse on Mare Street, also boasts the capital’s newest silent film screening venue. 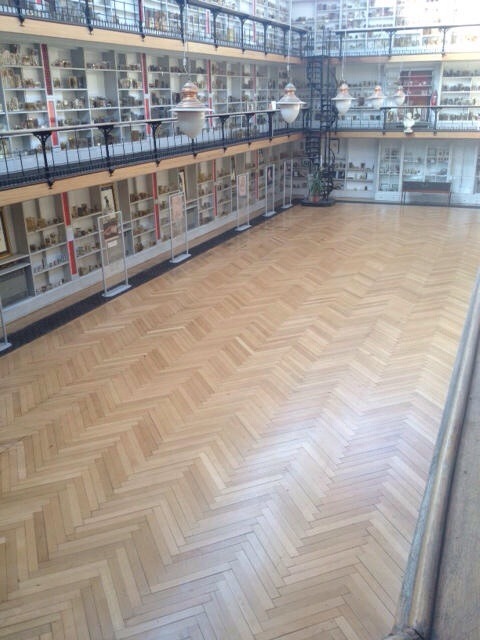 Hackney Attic hosts all kinds of live music and cinema events, scheduled by an outfit called Filmphonics. They have already dipped their toe into the silent waters with a sold-out screening of The Adventures of Prince Achmed, complete with belly dancers. 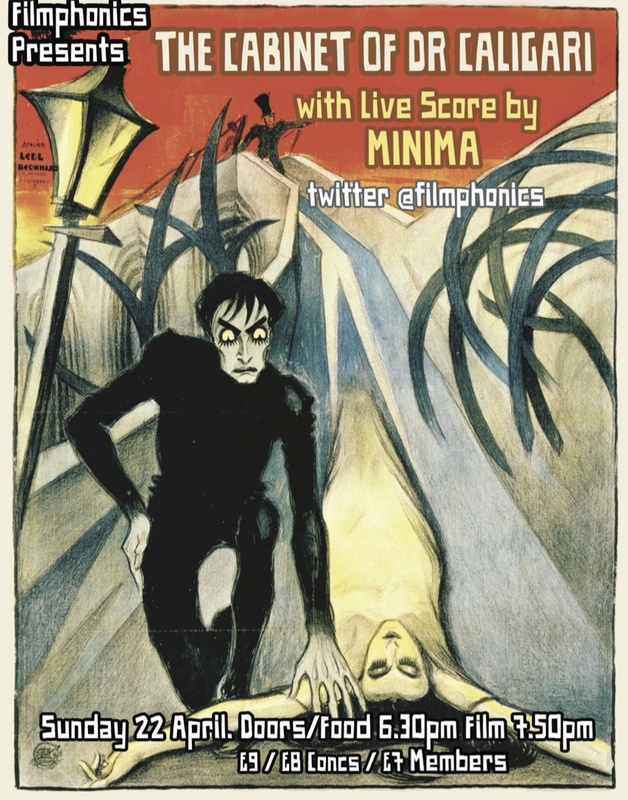 Now Filmphonics are officially launching a series of monthly screenings with an event that is sure to be popular – a screening of the nightmarishly creepy The Cabinet of Dr Caligari, with live accompaniment from rock band Minima. 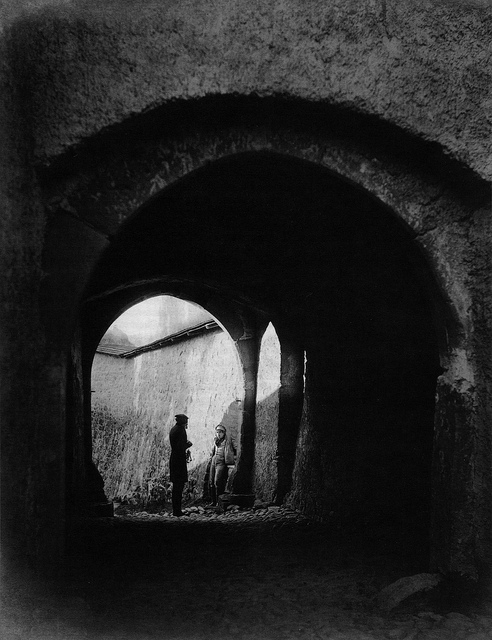 if you’ve never seen Minima accompany a silent film, you’ve been missing out. They’re a rock band, albeit one with a cheeky cello, who specialise in the kind of spine-chilling soundscapes perfect for a film this creepy and strange. 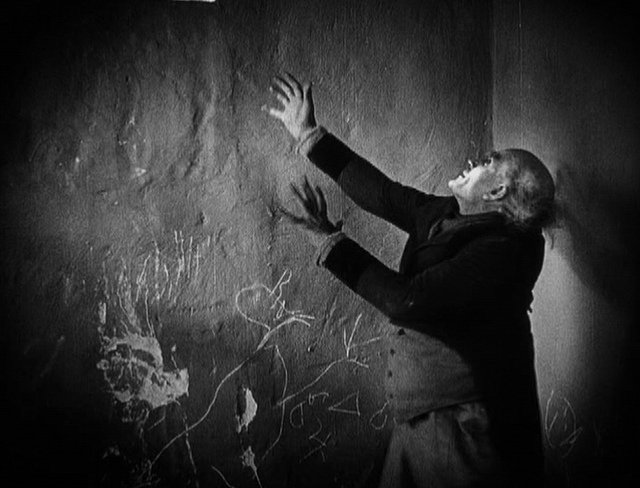 The Cabinet of Dr Caligari screens at Hackney Attic on Sunday 22 April 2012. Doors open at 6.30p and the films begins at 7.50pm. Tickets for the screening cost £9, but less for concessions and members. Alternatively you can buy a dinner ticket, which includes the movie, a meal and a glass of wine for £20. That’s a pretty unbeatable night out, I’d say. Tickets are available online here. Tickets cost £10 or £12 depending on the date. For more details and to book tickets, click here. Who says silent film screenings can’t be cutting-edge? Excuse the bad joke, please. 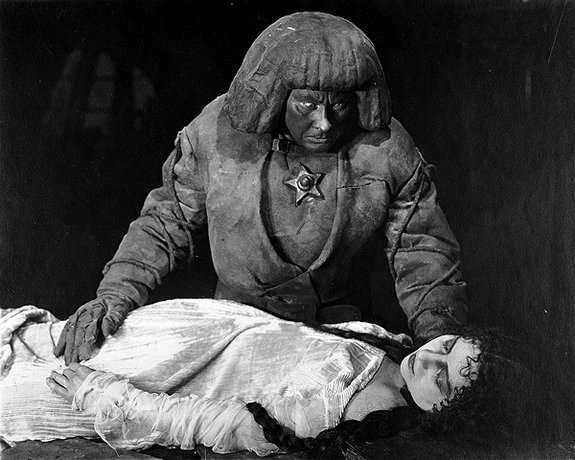 The Sci-Fi London film festival is putting on a screening of Der Golem (1920) and the music will be provided by Sawchestra, who play saws (obviously) as well as toy instruments and other found objects. What’s more, they’ll be handing out some more instruments to the crowd, as they’re very big on audience participation. I can only imagine how rowdy this is going to get – but it sounds like a whole heap of fun. Der Golem: How He Came Into the World is an early Expressionist horror, full of black magic, high drama and outright weirdness. The plot concerns a rabbi in 16th-century Prague who creates a man out of clay, and then brings him to life to terrorise those who are persecuting the Jews. It’s a little ridiculous, of course, but Karl Freund’s Expressionist cinematography is a treat, and playing along with Sawchestra should be a great opportunity to camp it up and enjoy this strange film. Der Golem screens at Apollo Piccadilly Circus at 7pm on Saturday 30 April. More details are available here. Twilight, this is not. 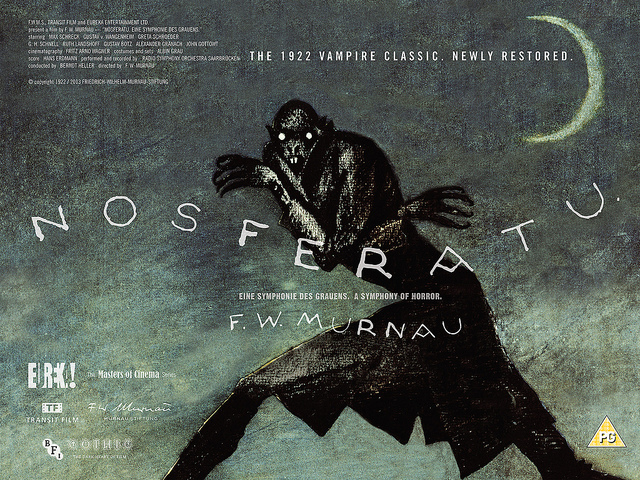 We could argue for hours about which is the greatest vampire film ever made, but Nosferatu is probably the most visually distinctive of the lot, definitely one of the scariest and a fairly faithful adaptation of Bram Stoker’s Dracula to boot. 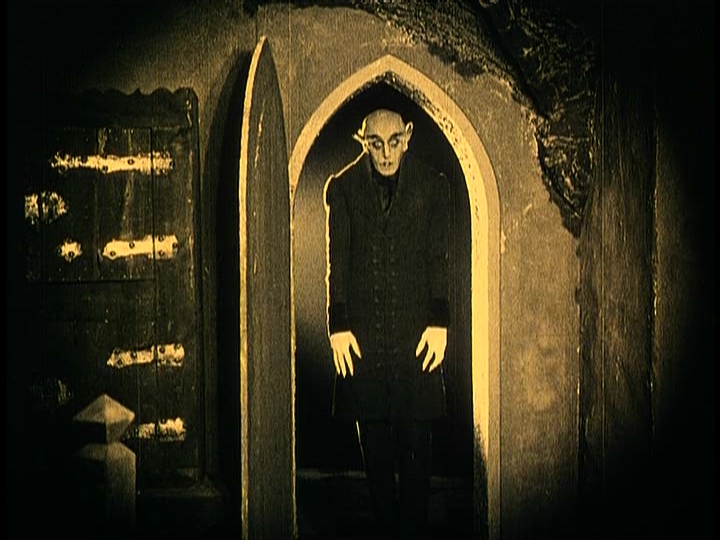 If you haven’t seen Nosferatu before, no doubt you will have seen many a homage to its expressionist style and the stiff, hollow-eyed lead performance by Max Schreck. 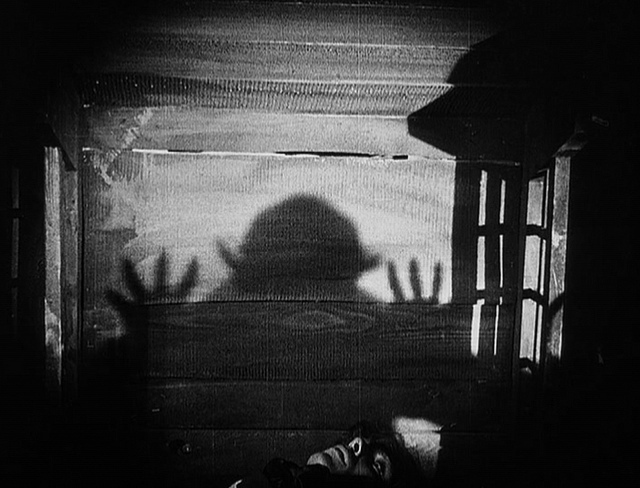 The shadow of Nosferatu gliding up the stairs must be one of the creepiest, and most often copied, moments in cinema. 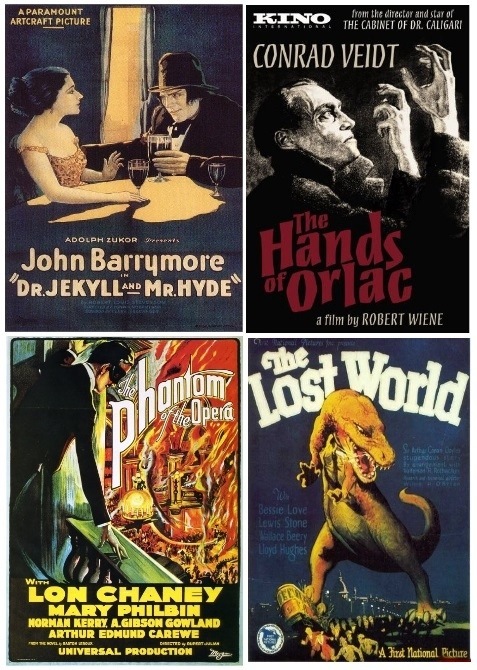 This screening at the 100-year-old Ritzy Cinema in Brixton benefits from an acclaimed live score by the band Minima, who will have performed at the Prince Charles Cinema the previous night accompanying The Cabinet of Dr Caligari, and will play the following night at the East End Film Festival. Believe me, these guys know how to create an atmosphere. And you can insert your own joke about how scary it is to go south of the river here. 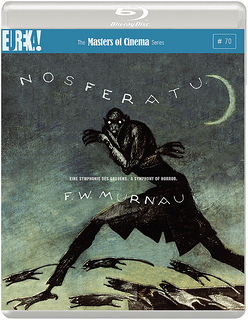 Nosferatu accompanied by Minima screens at the Ritzy Cinema in Brixton on 29 April 2011 at 8.45pm. Tickets cost £11.60 or less for concessions and they’re available here.